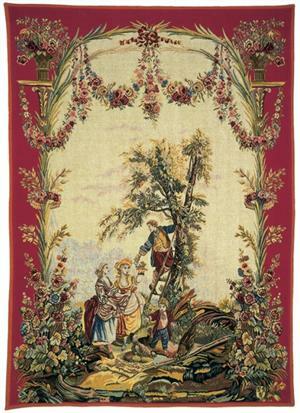 18th century tapestry. This specific scene of the cherries harvest is reminiscent of pleasant and carefree days amongst friends at the beginning of summer. Copyright © 2008 French Tapestries. All Rights Reserved.